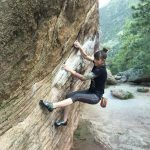 Julia started climbing while she was in college at a gym in Eastern Massachuesetts, and has since loved the challenges and accomplishments she’s found through the sport. 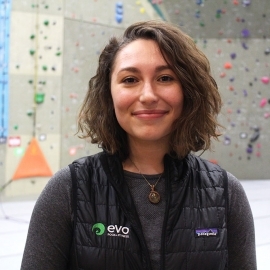 It was the friendly, passionate atmosphere of the climbing community that lead Julia to join the EVO team after moving to Portland in the summer of 2018. Julia has her degree in elementary education and loves transferring her experience of working with kids in the classroom towards her position as Youth Programs Director. 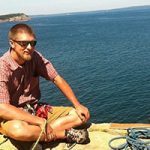 Julia loves helping to get kids stoked on the sport, and support their personal goals as young climbers! If you see Julia at the gym, come up and say hello!